Data Mining Applications in Engineering and Medicine targets to help data miners who wish to apply different data mining techniques. Data mining generally covers areas of statistics, machine learning, data management and databases, pattern recognition, artificial intelligence, etc. In this book, most of the areas are covered by describing different applications. This is why you will find here why and how Data Mining can also be applied to the improvement of project management. 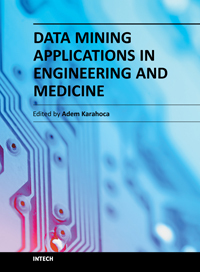 Since Data Mining has been widely used in a medical field, this book contains different chapters reffering to some aspects and importance of its use in the mentioned field: Incorporating Domain Knowledge into Medical Image Mining, Data Mining Techniques in Pharmacovigilance, Electronic Documentation of Clinical Pharmacy Interventions in Hospitals etc. We hope that this book will inspire readers to pursue education and research in this emerging field.